Your fertilizer will be placed in the optimal position for your crops to take advantage of it in the next growing season. This allows the fertilizer to do more with less as the fertilizer does not need to find it's way to the roots of your crop as it has been strategically placed right where it will be used. Increased retention of key nutrients (carbon, nitrogen, phosphorus) when compared to conventional tillage. Since you will only be tilling a narrow portion of the row, much of it will be left undisturbed, helping retain those nutrients. Preparation of the row for planting is achieved by tilling the precise location where your planting will be done. This also helps to allow the ground to warm up earlier than a purely no-till strategy. Reduced erosion of topsoil due to the minimal disruption of last years' residue. Leaving residue undisturbed also aids in trapping moisture, reduces water evaporation, and helps prevent soil from drying out. It is less time-intensive and fuel-intensive than conventional tillage. We are able to create a configuration that is as unique as you are. Everyone's operation runs a little differently, so it's no surprise that their requirements differ. That's why each of our units are custom configured for the customer that they are going to. 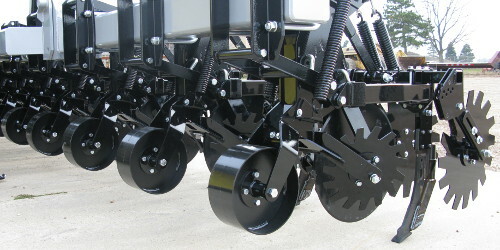 We have built our successes in strip-till off the back of our long history of cultivators. We have been manufacturing cultivators since 1990, and those years of expertise and experience have taught us what works and what needs improvement. Our design has been used for many years, and through it's use, we've been able to improve it. So what you get from our system has been and continues to be used year in and year out. 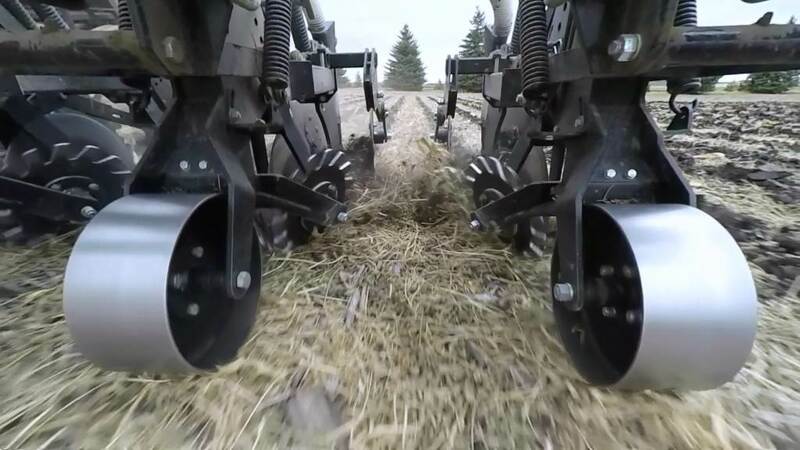 Our strip-till equipment has commonly been used with Montag fertilizer systems, which we can assist with as well as we are a dealer for their fertilizer carts. When you are convinced, give us a call and we can answer any additional questions you may have, and hopefully get you in your field with your new piece of equipment.